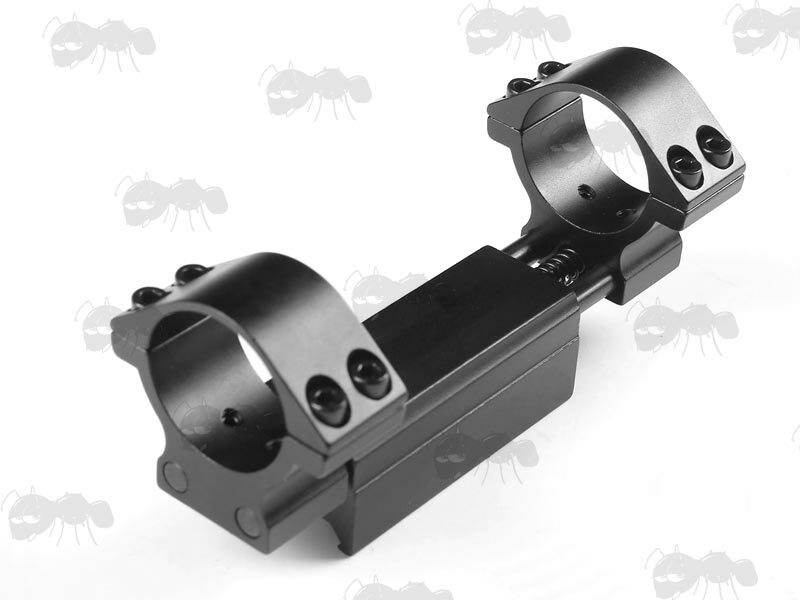 Precision machined high grade construction mounts with a matte black finish. For 1 3/16 inch / 30mm tubes, but 25mm reducer rings are included. Best suited for lower priced scopes on spring-powered airguns. 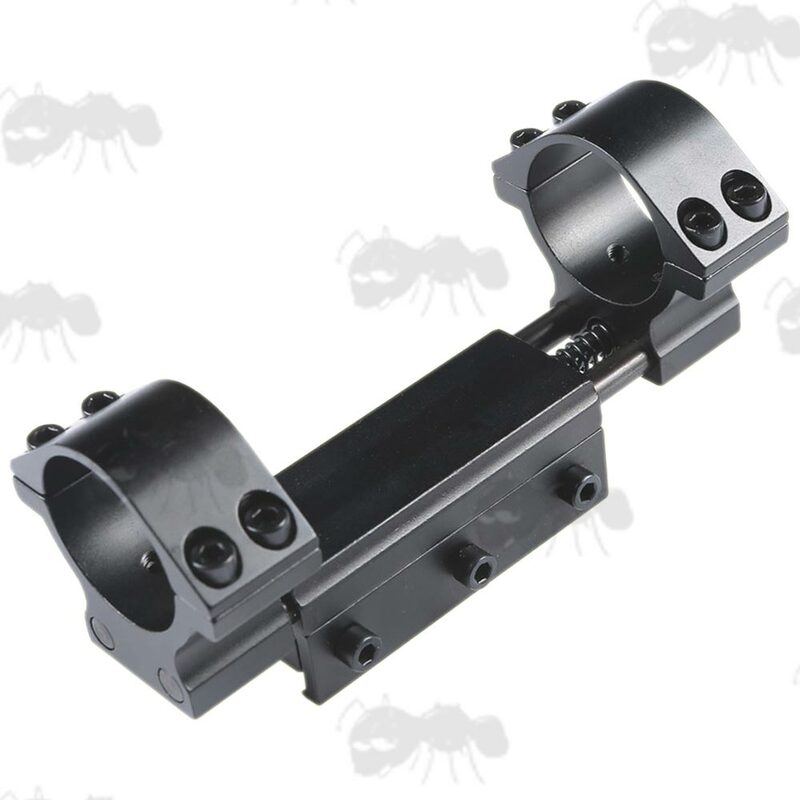 Base rail length ~ 65mm. Gap between the rings ~ 80mm. The exposed extended section has to be fitted to the rear (eye end of the scope). 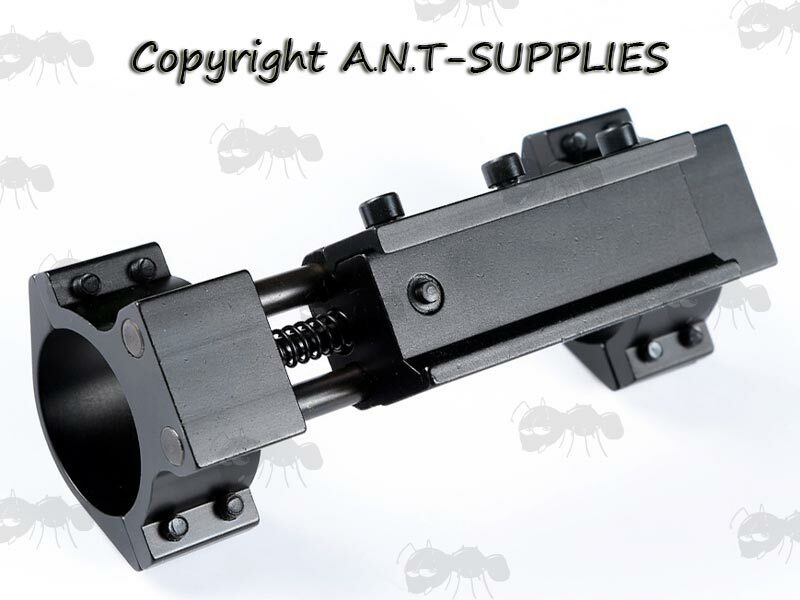 Triple allen head bolt rail clamp.